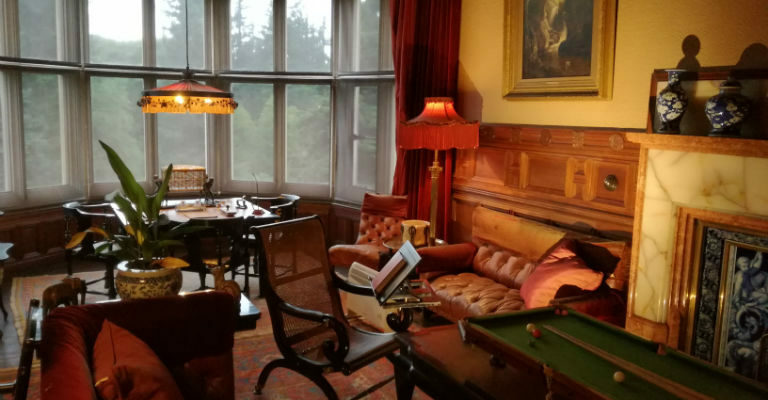 Nestled in a wooded dene just outside Rothbury, Northumberland, Cragside (and its surrounding estate) played home to one of the world’s greatest innovators, inventors, pioneers and for whom the modern way of life would for ever be grateful – Lord William Armstrong. Now owned by the National Trust, we decided that it would be a perfect location to take the whole family for a picnic, explore the house and gardens and in doing so, we also made the decision to join the National Trust. Our car full was made up of the whole range of ages, so we wanted somewhere that would appeal to everyone and Cragside certainly did that. Getting to Cragside is easy, it is well signposted from all major roads and the route takes you through the wonderful Northumberland mix of sea view and moorland heathers. On approaching we were met by a very helpful NT volunteer who made joining a very quick and easy process – not to mention very cost effective – it is only £10 a month for a family membership and that gave us immediate access. The estate roads are well signed, with two main carparks and a circular “Carriageway” route that takes you past the main house and up to the highland lakes, much used in the innovative hydroelectric and hydraulic power systems. There are plenty of picnic areas, circular walk routes of varying length and difficulty and stunning views back across towards to the coast. The best path to take to approach the main house is undoubtedly from the pump house, along the bed of the valley – from here you see the house perched up above on the crag side and can really appreciate just why Armstrong chose this location. Initially he built a modest house; 8 – 10 rooms and 2 storeys high with small stables, but very soon, and driven by his unquenchable passion for inventing, he needed a much bigger platform. Over the next 30 years Armstrong created his ‘fairy palace’ with additional wings, floors, rooms and galleries added in piecemeal fashion, yet with his inventions and collections there always felt a connection between the old and the new. The house is open to visitors and the best part, it is free roam – that is you are free to wander around and, apart from jumping on the beds and using flash photography, nothing is prohibited. The list of inventions in this house is quite astonishing – not only is it the first house in the world to be lit by electric lights (using Swans incandescent bulbs) but it also boasts a dishwasher, a hydraulic elevator, a dumb waiter, an automated plant watering system, a self turning spit, a washing machine and a vacuum machine. The rooms in the house, and out across the estate were all connected by a telephone system and these were all powered by the estates own hydroelectric plant. Considering that this was still in the late 1800’s the ingenuity and vision of Armstrong is staggering. The gardens and estate are home to one of the last remaining colonies of native red squirrels, living in the over 7 million planted trees(including the tallest Scots pine in Britain) and provide brilliant walking options and plenty of picnic places. There is also a maze and a range of children’s play areas so there is something for everyone. For a day out, there are few places in the whole of Britain that can offer the sights and history of Cragside plus, if you join the National Trust, you can keep going back to explore and uncover even more. It is a shame that outside of the North East he is not as well known or celebrated as perhaps Brunel or Telford.